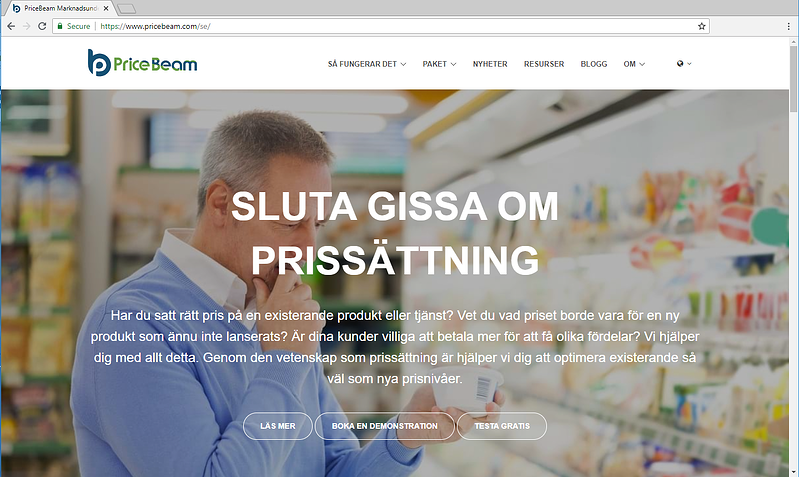 We are excited to now also launching our website in Swedish: www.pricebeam.se. PriceBeam is expanding rapidly and we are adding new countries and capabilities every week. PriceBeam's cloud-based solution for researching customers' willingness-to-pay is available in 109 countries world-wide. In each of those markets we do research in the local language, not simply in English, as a local approach is paramount for getting high-quality insights. Stay tuned on this blog as we are continuously adding new sites. And subscribe to our newsletter.